Accept payments directly on your checkout page using an ecommerce industy top-rated payment gateway. Use Authorize.net's CIM (Customer Information Manager) service to securely store credit card information for fast and easy cutomer checkout. NEW: Support for PrestaShop 1.6+ including responsive themes. 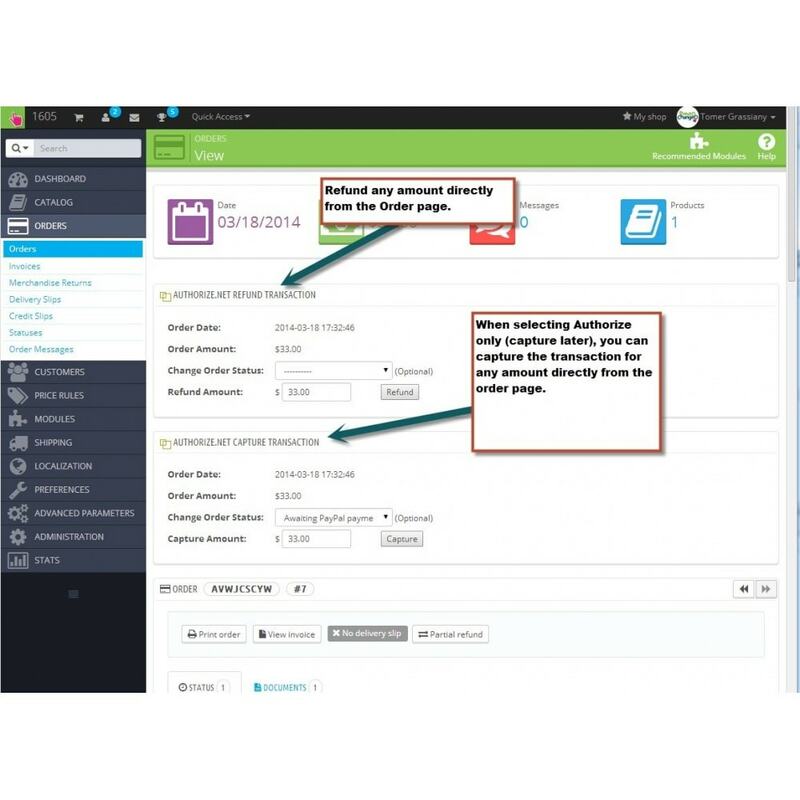 Along with variety of configuration options, this module allows you to capture funds or issue refunds directly from the back office Order page. Presto Changeo is a preferred Certified Solutions Partners of Authorize.net. 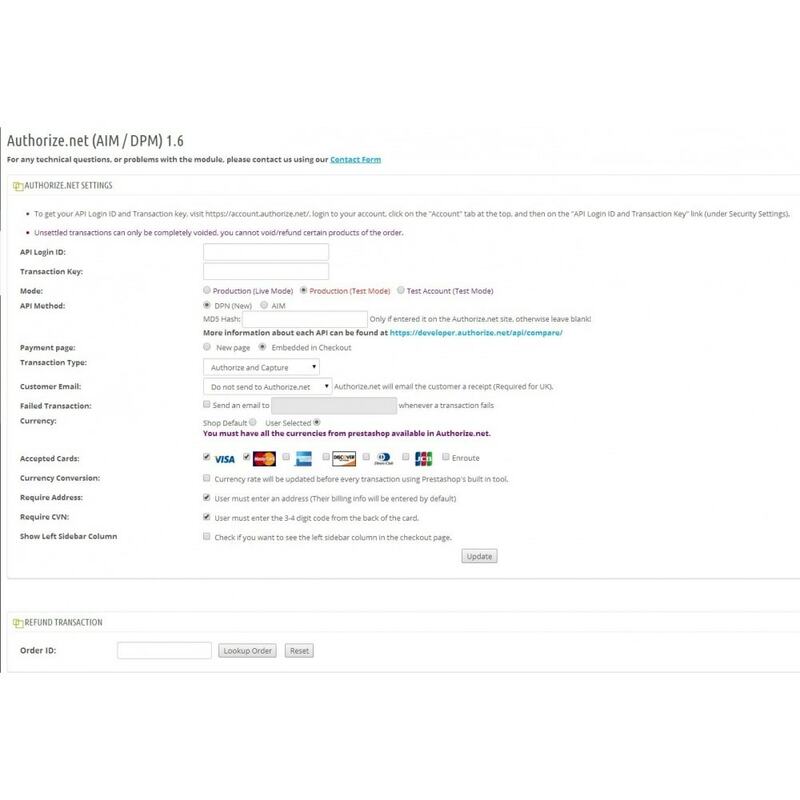 Authorize.net Payment module using their AIM or DPM (DPM does not require any PCI compliance on your end) API method. CIM Support added in v1.7: Give customers the option to save their credit/debit card information for easy checkout on future order using Authorize.net's CIM (Customer Information Manager) service. 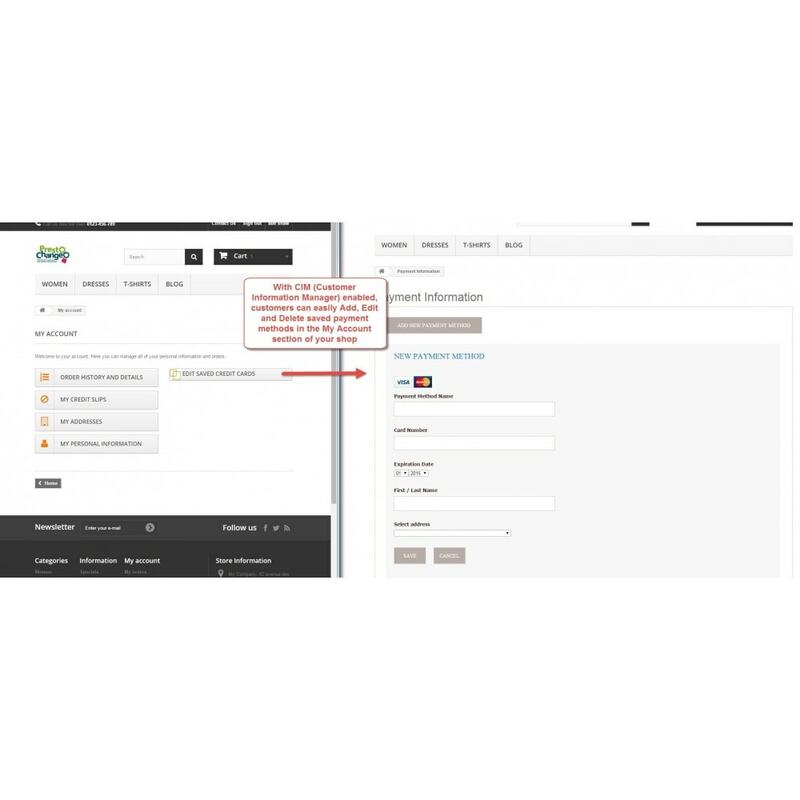 With CIM in use, a new 'Edit Saved Credit Cards' section is added to the My Account area of your website where customers can add/edit/delete saved payment info. Embed payment page directly in the checkout page + Refund / Capture orders directly from the orders tab in the backoffice. Choose between Authorization and Capture, or Authorization only and Capture later (when you are ready to ship). You can later capture any amount directly from the configuration page. You can void unsettled transactions or refund full / partial orders directly from the configuration page. Get email notification of any failed transactions (great to help detect & prevent fraud attempts). Presto-Changeo is a certified Authorize.net developer and integration partner of PrestaShop solutions. Our modules are used on thousands of websites around the world. Easy, safe and secure checkout that fits any screen size. 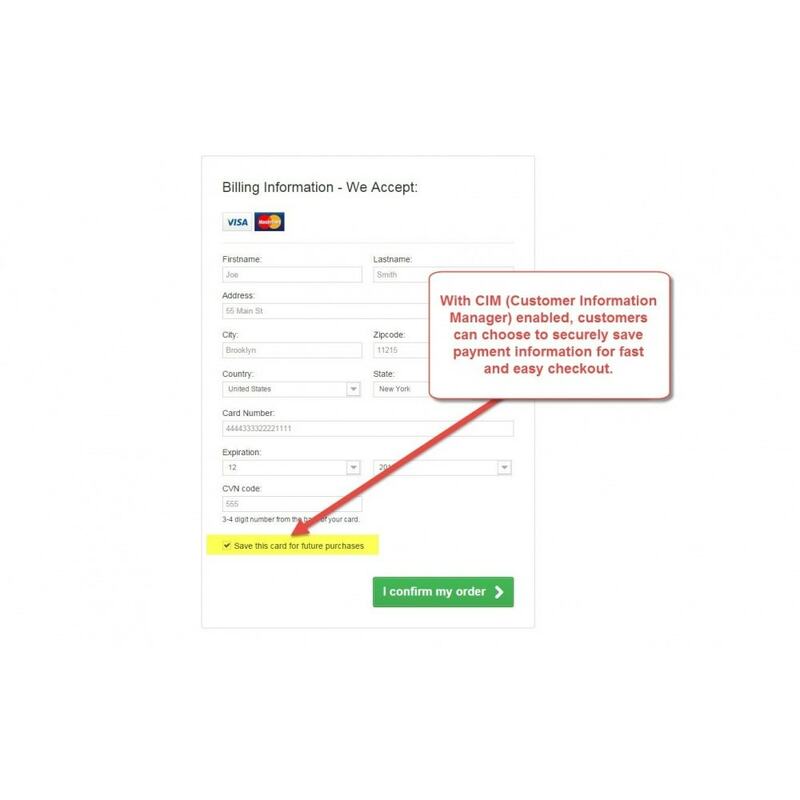 Customers can checkout quickly and easily without re-entering credit card info when you allow them to store payment info using the Authorize.net's secure CIM (Customer Information Manager) service.